Chances are, you’ve never heard of Porec. Yet this small town on the Istrian peninsula is one of the most visited tourist destinations in Croatia. Its most well known attraction is probably the Euphrasian Basilica, a paragon of religious architecture. Built in the sixth century during the period of Bishop Euphrasius (to whom it owes its name), the Basilica combines elements of classical and Byzantine art and is home to a wonderful array of mosaic medallions. Construction lasted ten years and, even today, all of the basic components of the basilica have been maintained. 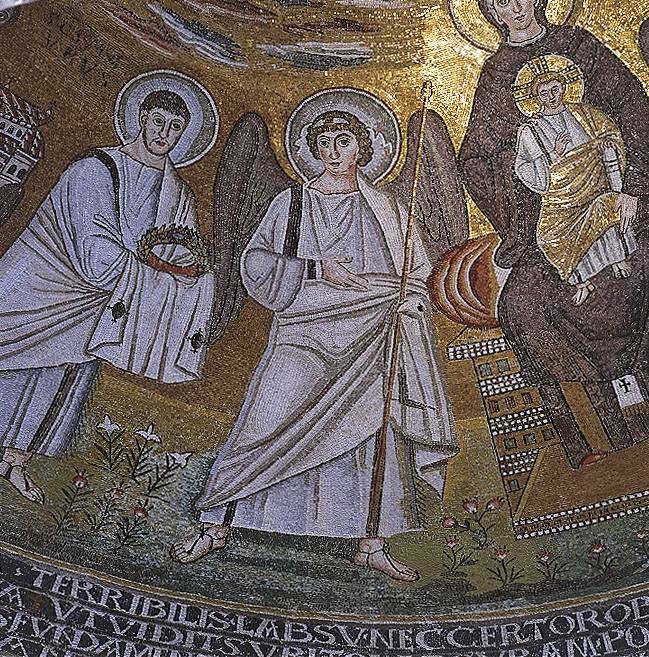 Its most distinct feature is probably its mosaics, most specifically its mosaic medallions. The church’s arch contains a frieze of medallions representing the lamb (i.e. Christ) in the center, encircled by twelve martyrs. Its floor mosaics are also a major tourist attraction. More mosaic medallions can be found between the windows of the apse. They include depictions of an angel, St. John the Baptist and Zacharias (a Hebrew prophet). It is important to mention that the basilica itself is part of a complex compound that includes a memorial chapel, an atrium, a baptistery and an episcopal residence (The Bishop’s Palace). Interestingly, its ciborium (a canopy over the altar of the church, which stands on four pillars) is modeled after the ciborium of St. Mark’s Basilica in Venice, the epitome of Byzantine architecture. The basilica is free to enter (although you have to pay a small fee to go into the belfry) and photography is permitted inside. Upon reaching the top of the tower, visitors are faced with a breathtaking view of Porec and its surroundings. Due to the exceptional nature of the basilica, as well as its historical and cultural significance, UNESCO inscribed it on its World Heritage List (a list of proprieties that form part of a cultural and natural heritage that has universal value) in 1997. Whether you’re an art aficionado, a lover of mosaic medallions or simply a devout person, you owe it to yourself to visit this wonderful testament to religious architecture.